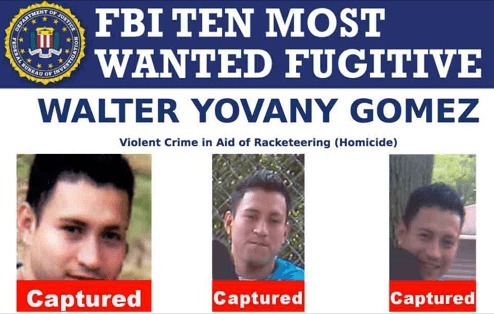 WOODBRIDGE, Va. – A four-year manhunt has led to the capture of an MS-13 gang member that has been on the FBI’s Ten Most Wanted list, authorities announced Saturday. Walter Yovany Gomez, an illegal immigrant from Honduras, was arrested without incident Friday in Woodbridge, 20 miles south of Washington, as a result of a well-coordinated investigation and tips from the public, the FBI said. Fox News reports that Gomez faces extradition to New Jersey. It is there where he was indicted on a charge of committing a violent crime in aid of racketeering. The FBI added his name to its Ten Most Wanted list in April. 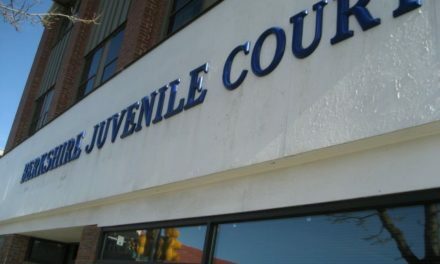 “Cholo,” which is Gomez’ moniker, is accused of killing a fellow MS-13 gang member Julio Matute in Plainfield in 2011. 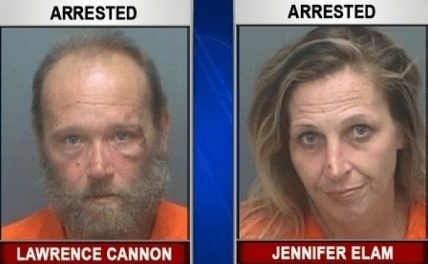 Prosecutors say that after a night of partying Gomez and an accomplice beat Matute with a baseball bat, stabbed him 17 times with a knife and then slit his throat with a screwdriver. Matute was murdered since others believed he was getting too close to rival gang members, reported Fox. When police originally tried to arrest Gomez he jumped out a second-story window and escaped. An accomplice of Gomez, who was also an MS-13 member, was caught and convicted. Gomez was one of six featured in an Aug. 1 Law Enforcement Today story on the most violent MS-13 gang members being sought by the feds. President Trump condemned MS-13 in an appearance in July on Long Island where 17 murders have been attributed to the gang since Jan. 1, 2016.